This is the original Sour Diesel clone. It’s the famous Sour Diesel clone that Cali Connection has taken and crossed to Sour OG male. That was the initial outcross, bringing it down back to itself BXing upon BX. They did 2 BXs and have produced Sour Diesel down to it’s seed form. So the actual clone only is in seed now and it’s called The Original Sour Diesel AKA AJ’s Clone. The male/female seeds come from Original Sour Diesel to Orignal Sour Diesel BX3 male. For female seeds they are Original Sour Diesel to Original Sour Diesel BX3 reversed male. 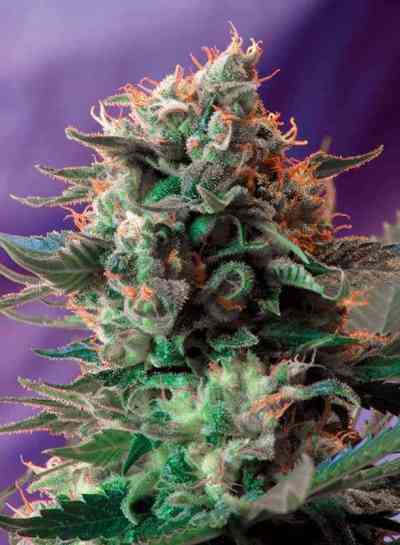 Very large producer, very kerosene/sour buds, Flowing time is approximately 70-75 days.